Often with a clear purpose and following a logical design, we humans have an incredible capacity for building complex structures. However, throughout the world there are some magnificent monuments - each a feat of engineering – but why were they built? The Temple of Jupiter at Baalbek, in Lebanon, measures in at 88m by 48m and sits on a podium 13m above the surrounding terrain. The podium is this site’s most amazing engineering achievement; it is built with some of the largest stone blocks ever hewn, each weighing about 800 tons. Nobody knows who carved these blocks or more importantly how or why. Additionally, a few minutes away from the temple acropolis lies the infamous Stone of the South. This huge stone weighs approximately 1,000 tons – almost as heavy as three Boeing 747 aircraft. While many theories have been proposed about who ordered its construction – ranging from Cain, Solomon and Noah to the even more outlandish alien visitors – archaeologists are still flummoxed by this intriguing site. Ciudad Perdida (Lost City) is located in Colombia’s Sierra Nevada de Santa Marta, the world’s highest coastal mountain range. 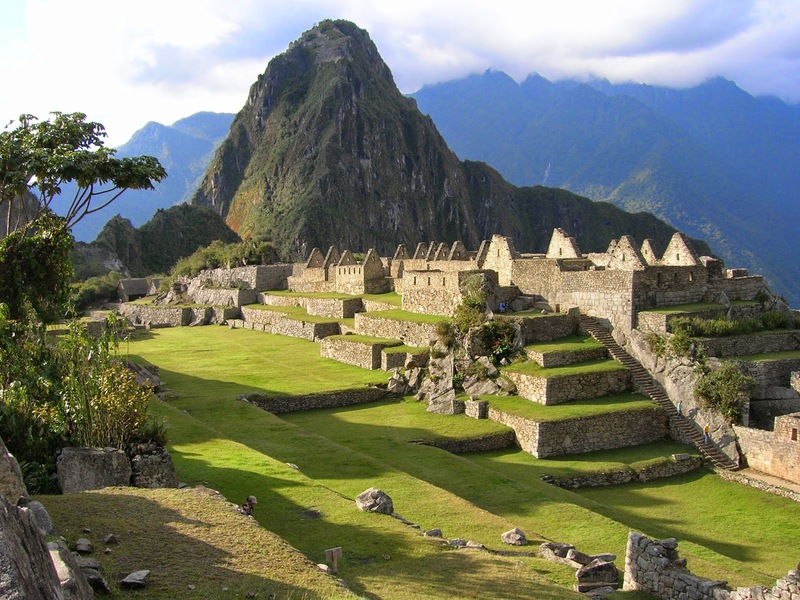 It is thought to have been built around 800 some 650 years earlier than Machu Picchu, and was inhabited by the Tairona people. Most visitors have to embark on a four day trek through the jungle to get there, giving the site a true sense of adventure and discovery. It was abandoned during the Spanish Conquest, and only rediscovered in 1972. Colombia’s recent civil war kept the site largely off the map, but it is now considered completely safe to visit.Further south in Colombia, San Agustin is home to a mysterious series of statues and stones. This is the largest group of religious statues in South America. The sculptures depict gods and mythical animals. The setting perched as it is in the northern Andes, adds to the mystical nature and atmosphere of the site. The site was abandoned around 1350 AD, but remains a testament to the complexity and social organisation of the indigenous people of the Andes. There are various theories. Some scholars argued that these people derived from the Olmecs of Mexico, as the statues of the San Agustin are reminiscent of the Mexican Olmec culture. However, other researchers, looking at the same statues think that the people who made them came from the Melanesian islands of the Pacific Ocean. But still to this day nobody knows precisely why they were built. the southern coast of Yonaguni, Japan, lie submerged ruins estimated to be around 10,000 years old. Though some people believed they were created by geographic phenomena, it has now been confirmed that they are man-mad. The intricate stairways, carvings and right angles show that early man was responsible for this impressive feat. was first discovered in 1995 by a sport diver who strayed too far off the Okinawa shore with a camera in hand. Although initially his discovery did not draw much attention, it has now become the source of much debate. Who built it? Why? Did it serve a purpose? Once again, there are numerous theories, ranging from it being the last remains of the Lost Continent of Mu, the Japanese equivalent to Atlantis; to the ever-popular ancient aliens. Whoever it was that built it and for whatever reason, it remains an incredible monument to human ingenuity. explore some mysterious monuments, then contact us.